It is 12:51 am and the gentle hum of the Jet's engines fill in the background noise. I am listening to my Ipod, dozing a bit, knowing that sleep is a hopeless cause. I have never been one to sleep well on a plane. 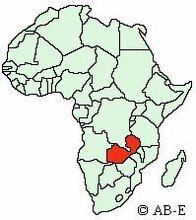 I am listening to a song by Toby Mac, “I don't want to gain the whole world and lose my soul.” I am heading back to Zambia for a third time and I am looking forward to it. I am excited to see my friends. I am looking forward to the surreal once again being all to real. We have been home for four months today. I have had many people tell me that they miss my blogging in Africa. My daughter Kamryn when writing in her blog one day after being home said, “Writing in America isn't as interesting as it is in Africa.” And, I mused on that for awhile. I decided my next blog would be “Living a life that is blogworthy (no matter where you are. )” What does it look like to live a blogworthy life? What does it mean to live a blogworthy life? Exciting, daring, adventurous, interesting? Is it just that Africa is different, is it because we long to live different or is it more? Paul was saved and made holy and made an apostle by the grace of God. Was Paul going to waste that gracious gift lavished upon him? He said, “It is not without effect” which means it was not in vain, or it wasn't wasted. As a result he worked harder than any of the other apostles, but even that ability and passion to work was grace. What does wasted grace look like? It looks our kids who after receiving a gift play doesn't say thank you and then plays with the box instead of the gift. But because God was so gracious, so very generous, here I am. And I'm not about to let his grace go to waste. Haven't I worked hard trying to do more than any of the others? Even then, my work didn't amount to all that much. It was God giving me the work to do, God giving me the energy to do it. Wasted grace is forgetting who we really are (sinners with no hope) who are lavished with gifts to bring God glory and then doing nothing with those gifts. What do we have to show for His grace? What ongoing difference has grace made in our lives? I'm finding a trend these days among Christians to determine whether or not their walk with the Lord will be exciting based on the circumstances surrounding. For example, like you were saying here, a walk with Christ is exciting in Africa, but not in America. Or it could be exciting in America if you voluntarily live in extremely sacrificial and difficult circumstances. And that sadens me, to be perfectly honest. Because if this is true, then while I'm here at university, my walk with God can't be exciting. Or while I'm working in the church (where I feel the Lord has called me), or everything in my life up till now. Even for you and your family, it means that life with Christ was never full until a year ago. Can this really be reality? Or is the fullest life we can lead simply where the Lord has us, WHATEVER that is? Biblically, observationally, and personally, I see the latter to have more truth.